Pass the end of the rope around the pole. Continue over the standing end and around the pole a second time. Thread the end under itself and pull tight to form the clove hitch. 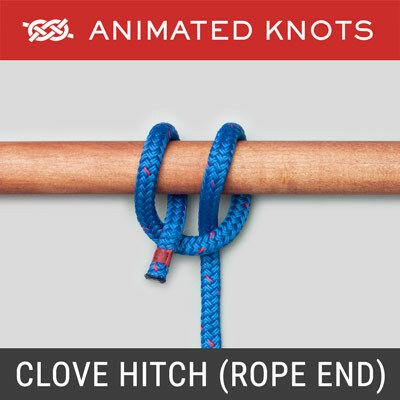 Caution: The Clove Hitch (ABOK # 1245, p 224) was, originally, included here with the intention of condemning it. It does have two giant faults: it slips and, paradoxically, can also bind. It should be deeply distrusted when used by itself. Theater Scenery: Thanks to Curtis Mortimore of Ball State University for providing this example; when adjusting stage curtains hanging from a bar, a clove hitch round the bar allows the height of the bar to be adjusted up or down by rolling the knot slightly. At the right height, a couple of Half Hitches round the standing end provide security. Some months after writing this I heard independently from David Winch of the Sydney Opera House who said they were desperately trying to stop staff using Clove Hitches and use the Round Turn and Two half Hitches instead. Their two comments amplify the introduction – it can bind and it can slip! 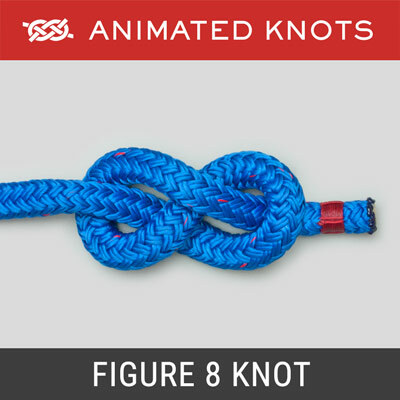 Boat Fenders: Similarly, when attaching a boat’s fender to a railing, the fender’s line can be initially secured with a clove hitch and then, when adjusted, secured with two Half Hitches round the standing end. Slipping: I watched a friend trying to dock his 53′ Hatteras. 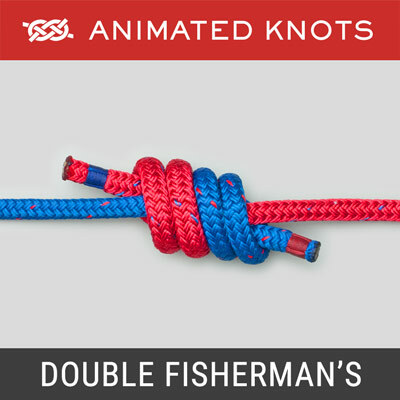 Each time the bow mooring line was handed to the marina assistant, he used a clove hitch to attach the line to the dock’s post. The offshore wind was blowing the stern away so my friend used his engines to swing the stern in. Each time he did so the strain was too much for the Clove Hitch, which slipped undone. 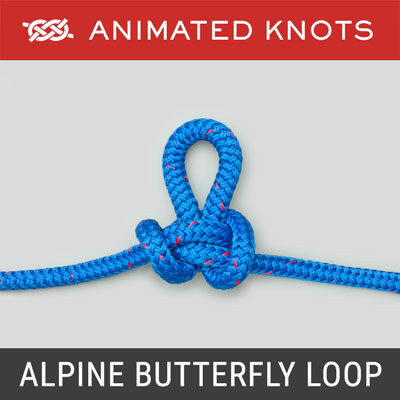 This process was repeated seven times despite increasingly forceful requests that some other knot be employed to secure the line. 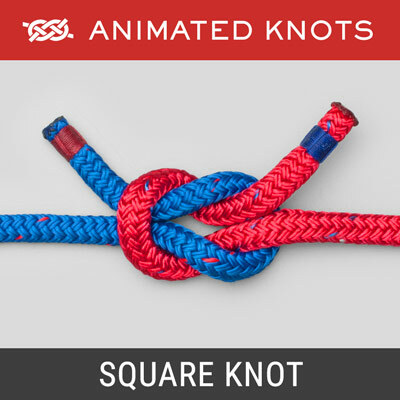 Reviewing the events later it became apparent that the assistant was using the only knot he knew. 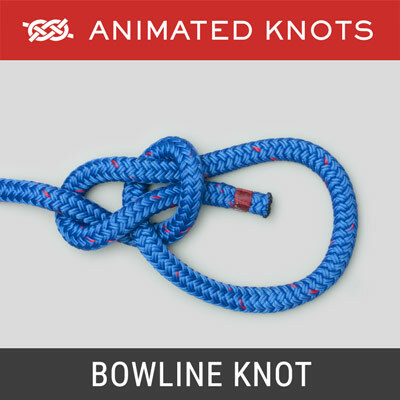 It is not a knot to be used alone. Paradox: When you tie this round turn and two Half Hitches, in the process you actually create a clove hitch round the standing end!